While working with orphans for many years, we have come to realize that only God can change their lives. Therefore, a typical working day of Christian Ministry Agape begins with prayer. 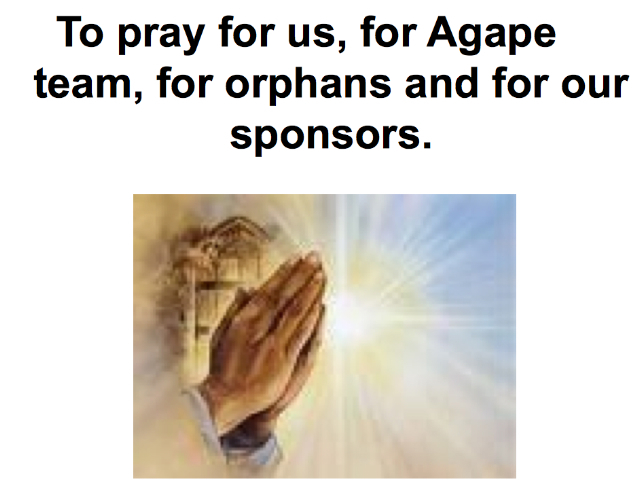 We pray for orphans, for their hearts to be opened to the Gospel. We pray for the ministry teachers; for God to give them wisdom and guidance while working with the orphans and conducting Bible lessons. We also pray for our sponsors, that God would bless them more abundantly. We realize that everything we have been able to achieve in our ministry is only possible through God. He has changed the hearts of so many orphans and of our ministry workers, as well. Therefore, please join us in prayer -we believe the Lord can do the impossible! Please follow our facebook page to learn of current prayer needs. We need Your prayers! If you would like to take part in the work of Agape Ministries on an ongoing basis, please contact us. Your support is extremely needed and appreciated! There are many needs and much work to be done, but so few who are willing. Please contact us to discuss how you can partner with Agape Ministries. A great opportunity to make orphans feel important and loved is by simply sending them a gift package. Orphans often feel insignificant in the crowd of other children living with them at the orphanage. They don't even know how special and precious they are in the eyes of God. When they receive packages and gifts, they think: “Someone cares about me; I mean something to them…” These parcels overwhelm children with surprise that someone cared enough to send them a gift. Today you have the unique opportunity to send a package to orphans through Agape Ministries! Clothing, shoes, toys, and school supplies are always greatly appreciated. 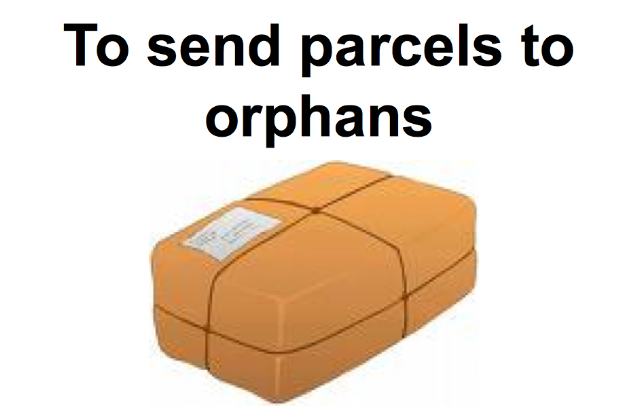 To find out how to send a package, please refer to our Humanitarian Help for orphans. You can visit orphanages in order to give a hug to at least one orphan and to get to know orphans personally. As a reward you'll receive many hugs from children, joyful tears, many sincere "Thank-yous" and eternal rewards from God. After you leave they will pray for you. They will remember you forever. Please read more about trips to Ukraine here.